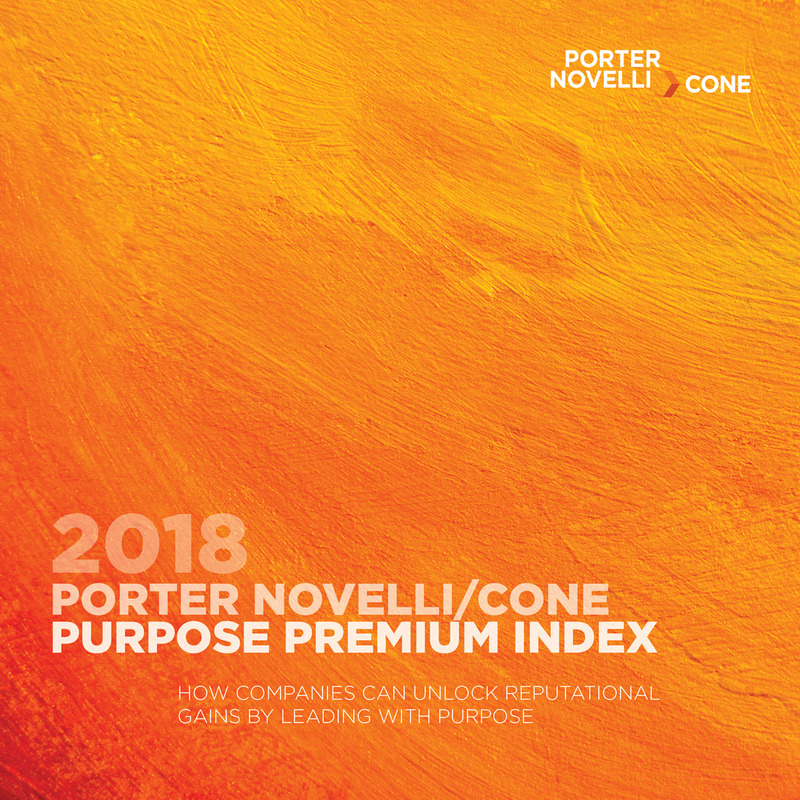 Join Porter Novelli to learn about the findings and insights from the newly released 2018 Porter Novelli/Cone Purpose Premium Index. The study, examining consumer perceptions of the top 200 companies in the U.S., finds Purpose is one of three critical dimensions of overall reputation. This webinar will walk you through key data and critical implications for business, as well as best practices and examples of leading companies. The complimentary webinar presentation of the 2018 Porter Novelli/Cone Purpose Premium Index is on December 6, from 1:00-2:00 p.m. ET. Please click here to register.